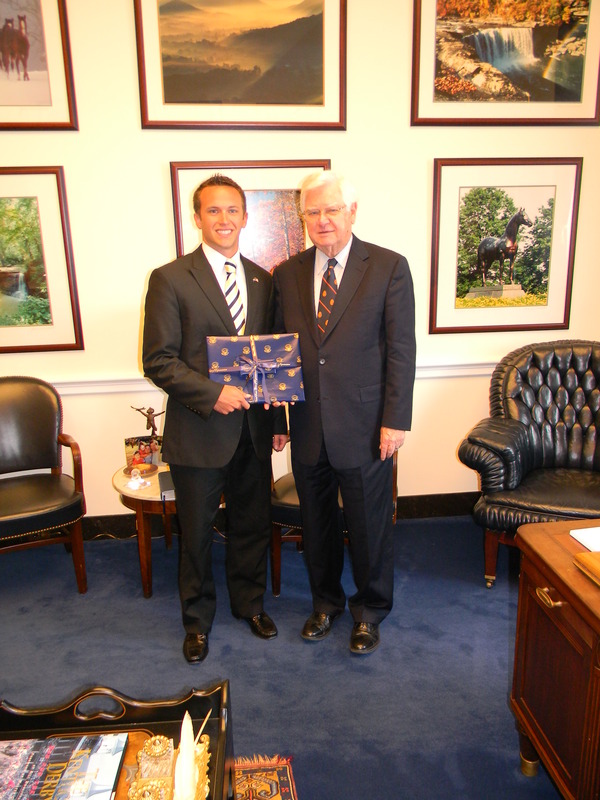 Whitley County Native Interning for Congressman Hal Rogers in Washington, D.C.
Nicolas Wilson, a 2009 graduate from Whitley County High School, is serving as an intern in Congressman Hal Rogers' office for a duration of six weeks this summer. Wilson will be a senior at the University of Kentucky this fall and plans to enroll into law school in Fall 2014. Wilson is the son of Jim & Tammy Wilson and Donna Rowe. Photo Cutline: Nicolas Wilson (left) pictured with Congressman Hal Rogers (KY-05).